My friend Patty (who I’ve been cooking for today) requested Scalloped Potatoes with Ham and I remembered that I had this easy version that you can do in the crock pot (can’t remember where it came from, probably because I’ve had it for so long). I like it because it uses real potatoes. 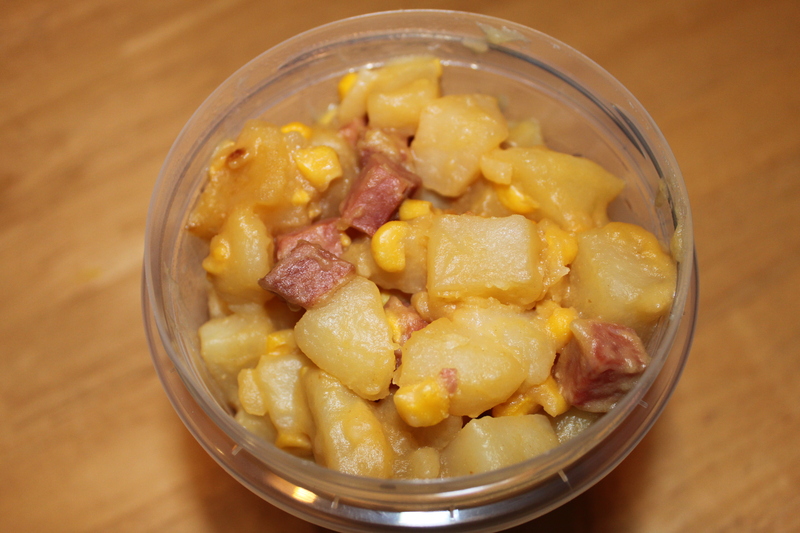 Mix potatoes, ham, corn, pepper and onion in crock pot. Mix soup, milk and flour, beating with whisk until smooth. Pour soup mixture over potato mixture, stirring gently to mix. Cook on low 7 – 9 hours or until potatoes are tender. You are a life saver for us and God bless you! !